Metal Gear Solid will be getting a film, it has been revealed. 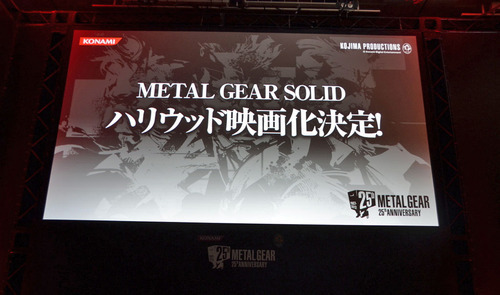 Announced at the 25th Metal Gear anniversary celebration, the film will be released by Columbia/Sony Pictures. Avi Arad will also be reportedly producing the film, who some of you may remember as the producer of Spider-man, Iron Man and The Incredible Hulk. No further details have been released as of yet, although apparently the film will be very close to the games. How do you feel about this news? Voice your opinions in the comments section!